Don’t miss the first issue of this southern gothic fairy tale from the creator of smash hit The Sixth Gun, beautifully and hauntingly realized by B.P.R.D.’s Tyler Crook! The comic begins with the hanging of a witch by the people of Harrow County, a backwoods area. She began as friend and neighbor of folks, curing them with whispered incantations. 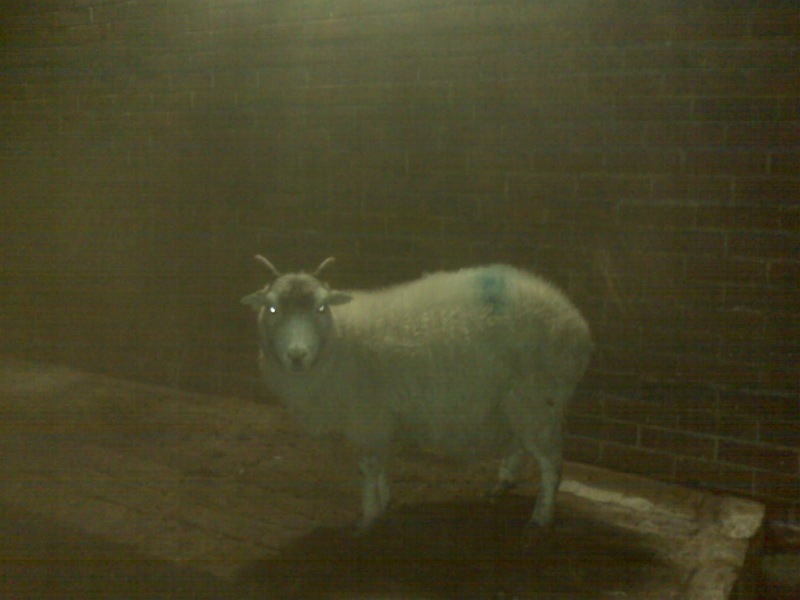 They turned a blind eye when cattle died in her presence. But when their children followed her to Sulfur Creek for strange baptisms and they heard of her connecting with frightening beings and beasts, feeding the creatures with babies, they shot, stabbed, hung and finally burned her to make sure she died. But as she burned, she cursed, threatening to return one day. 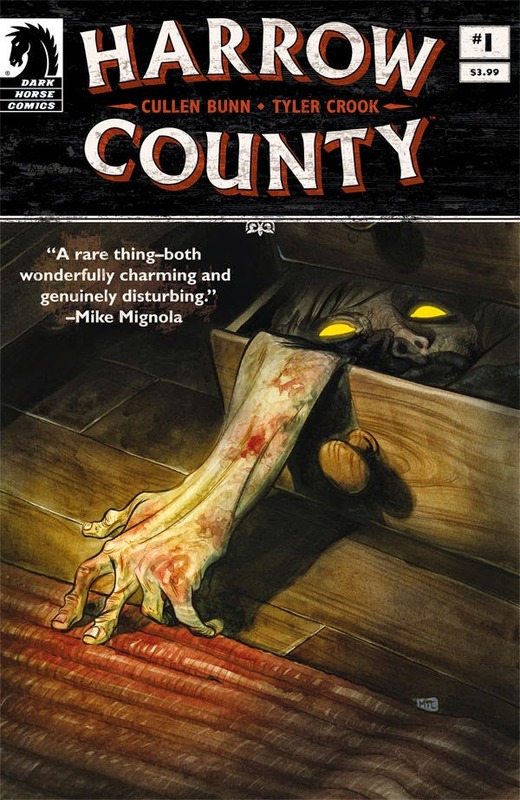 The story continues to a Harrow County farmer and his daughter, Emmy, years and years later. Emmy has nightmares about the crooked oak tree on the farm and senses that the shadows watch her, that maybe they are really haints. More so, her father watches her—as it appears there is something about her he knows, all connected to the dead witch. The artwork is gloomy—perfect for a comic about a scary, supernatural tale. It gives the reader a feel of some lonely backwoods area, where only dark woods and farms miles apart abide. The story lured me in. Most of all, I cannot wait for the next issue to see what happens to Emmy next and what her father has kept from her. Harrow County will haunt the reader long after they stopped reading.I gave Harrow County, #1 5 spooky sheep.